We do not know when exactly Jesus told Martha that by believing, she would see the glory of God. Perhaps while waiting for Mary to join them. Perhaps during the walk to the tomb. Perhaps it was at an earlier visit. Whenever he told her this, it was a bold claim. Glory was a general term for splendor and greatness. 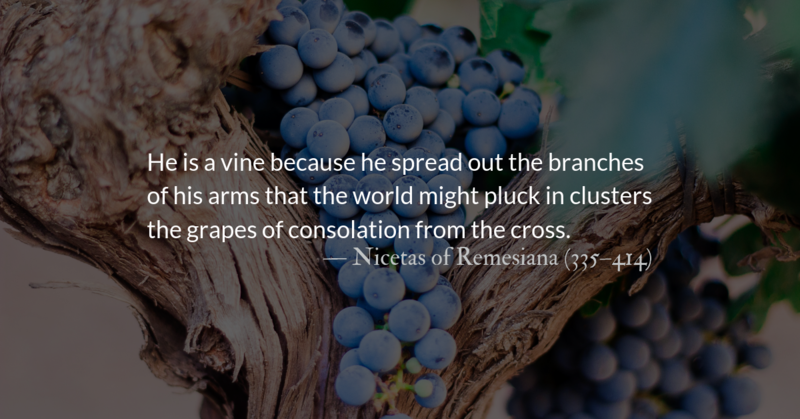 Jesus used this same word when comparing Solomon’s clothing to that of a flower of the field. But seeing God’s glory was not the same as seeing the glory of the flowers or the glory of an earthly king’s power and wealth. It is in tomorrow’s reading from Exodus 33, that Moses asks to see God’s glory. His desire is only partially granted. Moses, the dedicated servant of God and archetypal messianic forerunner of Christ, is given only a glimpse of God’s glory passing by. Later on in Exodus, when God’s glory fills the Tabernacle, the priests had to stop working and leave the area. When seeing God’s glory, holy prophets of old hid their faces, fell to the ground, and confessed their sins. God’s glory is terrifying in its beauty. Mary and Martha see it not peeking from the cleft of a rock, but directly, and in a shocking manner. The glory that Jesus sets out to show Martha and Mary is at first terrifying for the sisters. The gruesome realities of death are on Martha’s mind as she warns Jesus about the bad odor that will have developed over four days. 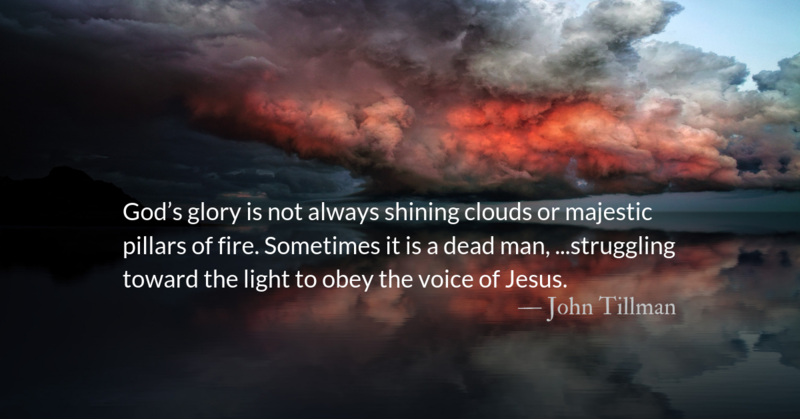 God’s glory is not always shining clouds or majestic pillars of fire. Sometimes it is a woman holding her nose against the smell of death, being surprised by the sounds of life. Sometimes God’s glory is a dead man, blindfolded and bound hand and foot, struggling toward the light to obey the voice of Jesus. 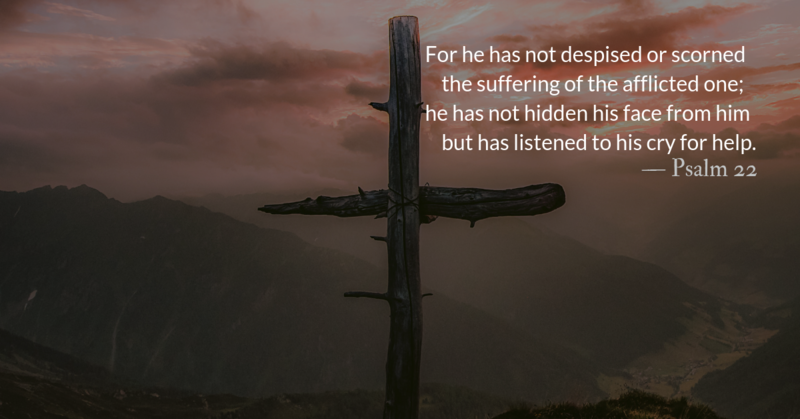 Just as John calls the blind man “the blind man” after his healing, he reports the “the dead man” came out of the grave. In this world, we may never completely escape the identity of what Christ saves us from. 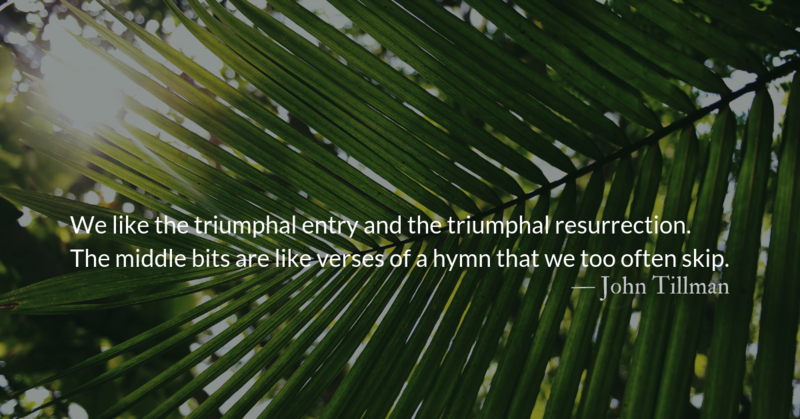 We are never not “sinners,” but we are to be ever staggering, struggling toward the light, toward Christ’s voice. One day, as Lazarus and our dear Christ, himself, our grave clothes will be untied (or “set aside” lyō in Greek). We will leave our grave clothes behind. That is the glory of God. The Greek word translated “set aside,” (lyō) carries an implication beyond not ignoring the parts of the Bible we don’t like. It refers to unbinding or untying things bound together for a purpose. This would include untying the thongs of sandals (as used by John the Baptist), loosening bandages (as used by Jesus regarding Lazarus) or even the bonds of marriage (as referenced by Paul). May Jesus, the strong man, the liberator, free us to see, to hear, and to speak. May he kick open the gates of what paralyzes us and lead us out to do his work in the world. May we join the Uprising. The Pharisees are partially correct in the above passage; the formerly blind man, was steeped in sin at birth. 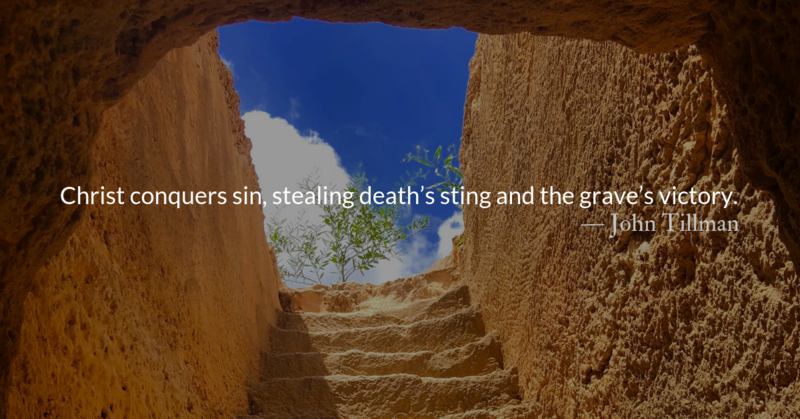 Where the Pharisees were in error was denying that they were also steeped in sin. There are two ways of thinking about sin. One sees sins as individual actions. In this calculation, we total sins up, like fines in a legal system. We interpret sins as individual, unconnected actions that are less than perfect good. This is the mode of sin evaluation favored by the Pharisees and many modern Christians. We prefer to think about sin in this manner because it is measurable and allows us to look at ourselves in comparison to others. No matter how bad we are, we can always find someone who makes us look good by comparison. This thinking also leads us, like the Pharisees, to see those in difficulty or hardship as suffering from their own sin and wrongdoing. This allows us to further exclude and punish them while absolving ourselves from any responsibility to help them. Today, many view the poor through this lens, seeing generational poverty as the fault of the poor, and the community’s responsibility as minimal or non-existent. This view of the poor can’t be found anywhere in scripture—except perhaps in the views of the Pharisees. Sin is not just some bad things that we sometimes do. Sinful actions are “sins” but sin is more than actions. It is a condition. It isn’t just a condition that we live with. It’s a condition that we live in. Paul tells us that creation groans to be released from sin, and we feel its effects. Sin is pervasive. It seeps into every crack and corner of our souls. 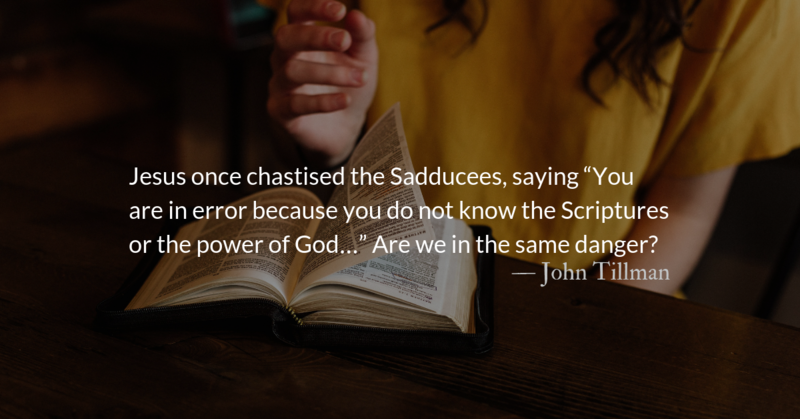 Sin isn’t like a disease, a condition inside our bodies, as much as it is like an environmental condition, an inescapable influence that surrounds and penetrates us. 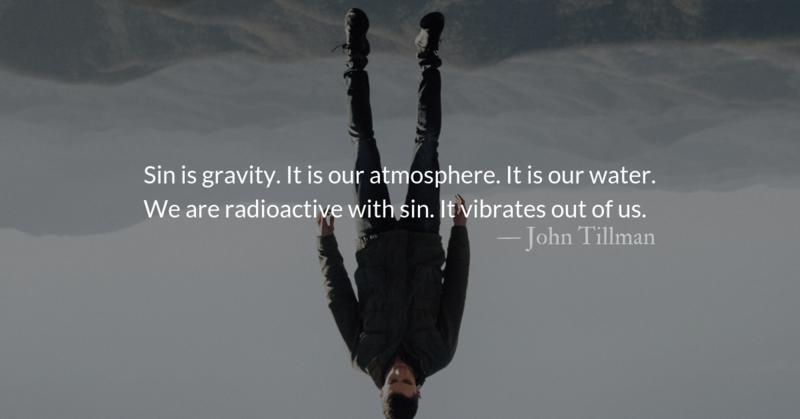 Sin is gravity. It is our atmosphere. It is our water. We are radioactive with sin. It vibrates out of us in ways that damage and harm us and anyone we come near. 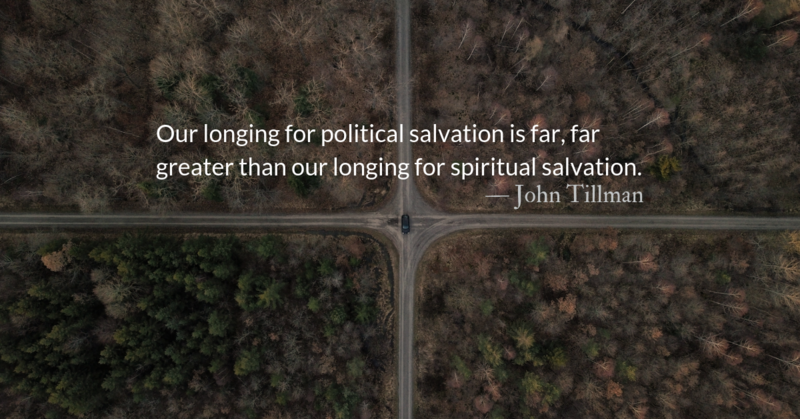 We need Jesus not to help us make better choices and “sin less.” We need Jesus because only his righteousness is the antidote to the radiation poisoning of rebellion. We feel less responsible for problems in the world when we can believe that only the lazy are poor, only the promiscuous are in danger of sexual assault or disease, only hedonists become addicts, and only nihilists suffer depression or have suicidal thoughts. Jesus spent time with people who, by every cultural definition and religious law, would be under God’s wrath. Sinners. Heretics. Financial swindlers. Race traitors. Fallen women. Lepers. Foreign occupiers. Shouldn’t Jesus have been angry with them? Some might summarize this passage like this: The Pharisees catch a woman in adultery but Jesus lets her go. Except that’s not what happened at all. 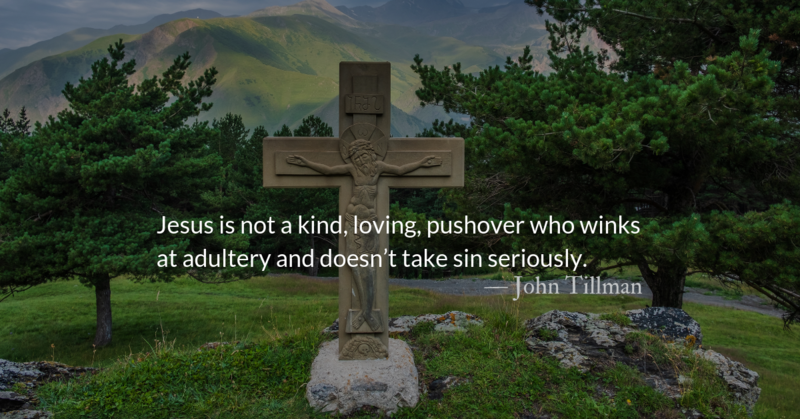 Jesus is not a kind, loving, pushover who winks at adultery and doesn’t take sin seriously. But sin is deadly serious business to the one who came to die for sins. “Go now and leave your life of sin,” is an unambiguous acknowledgement of the fact of the woman’s sin and an unmistakable command to repent. Christ does not condemn her, because he is taking her condemnation on himself. “Cheap grace means the justification of sin without the justification of the sinner. Grace alone does everything, they say, and so everything can remain as it was before. The true grace Jesus offers is costly. It is so costly that the wealthy, rich, powerful members of society drop their stones and walk away from it. They cannot bear the cost to their pride. It is so costly the lustful won’t look at it. It is too costly for them to give up their lusts. Jesus doesn’t “let the woman go.” He sends her out. Jesus, instead of taking the woman’s life, redeems it. He buys it for his own. When we see ourselves in this passage, we should not see ourselves as members of the crowd, shamed into forgiving the woman and dropping our stones. We should see ourselves as the shamed woman, freed and sent out to live anew. We have been bought with a price and sent into the world, leaving our lives of sin. 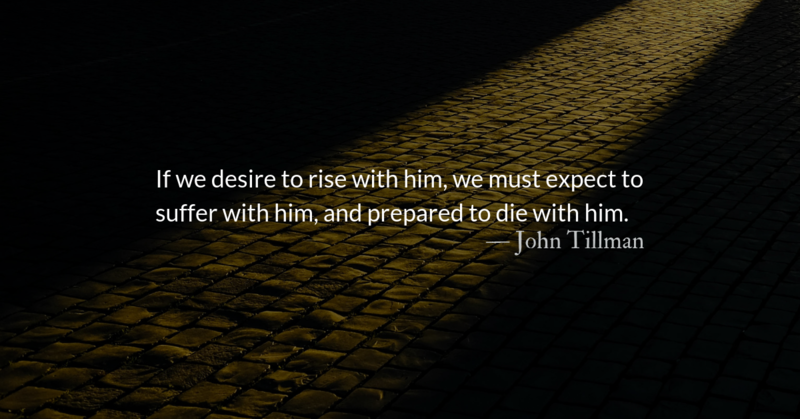 Though it is fairly palatable to accept Jesus as a man, or even an inspiring moral teacher, choosing him as Christ and Lord comes at a cost—socially, professionally, and otherwise.